Happy National Libraries Day! - A day devoted to all types of libraries, library users, staff and supporters across the UK. So what better thing to do on a wet February day than come to your lovely, cosy, local library and help us celebrate? As well as your usual borrowing allowance of 12 books, 4 talking books and 60 minutes of free internet access, we are marking this special day by making CD loans (and you can borrow up to 3 for two weeks) absolutely FREE! 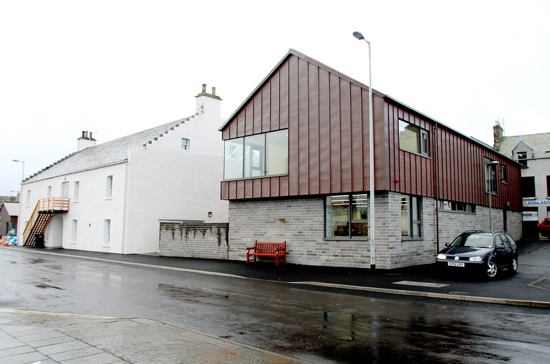 The library in Kirkwall, who also loan DVDs, are making loans of these free as well, and they will be staying open until 8pm tonight to give everyone even more time to love their library. As well as the usual range of resources and services on offer, there will be an opportunity to put your general knowledge to the test with a fun quiz, starting at 6.30pm. Nationally, today sees the launch of The Library Book a volume of short stories written by twenty-three top authors about libraries real or imagined, past, present, and future – why they matter and to whom. The Library Book’s contributors are all donating their royalties to The Reading Agency, the independent charity working to inspire more people to read more.